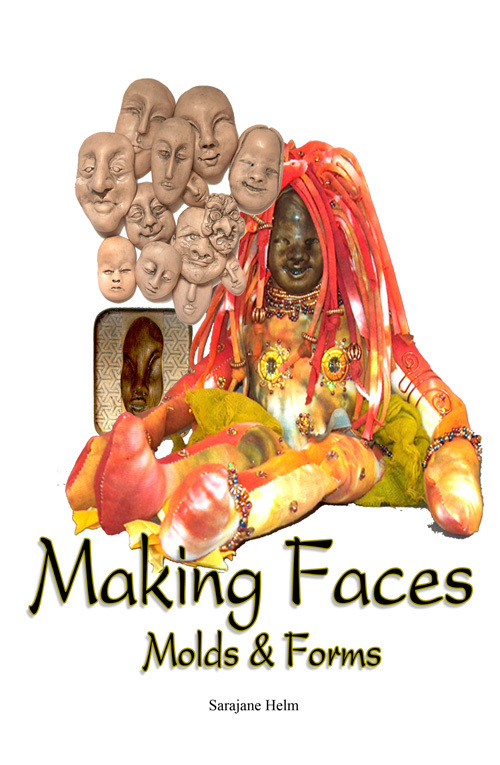 Making Faces, Molds and Forms is the next book PolyMarket Press is preparing for release in 2011. 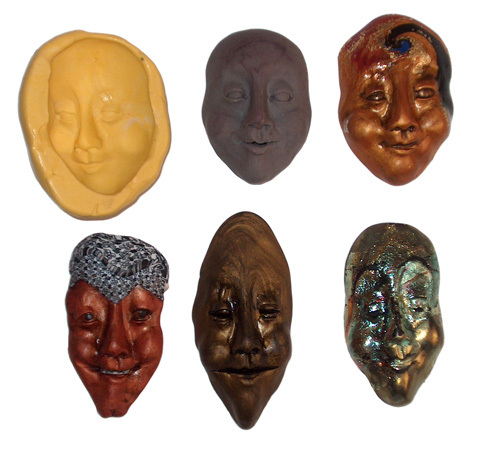 It is a companion piece to 2010’s A Collection Of Polymer Clay Masks that will showcase how to sculpt original faces in polymer clay, and make 2 part silicone rubber molds for use in making MORE faces! Readers will also see how to vary the “pulls” that come from the molds, which can then be used with polymer clay, epoxy resins, metal clays such as bronze and PMC silver, as well as new modeling compounds made from glass frit, ceramics–even soap or chocolate! Discover amazing products that allow the artist to make pulls from their own silicone molds that will shrink or expand up to 50%, and then be used to make smaller or larger versions of the original faces! Create a face in one scale and get all the detail you want into and then make versions in other sizes for use in dolls, figurines, boxes and masks, and wearable art jewelry. In addition, there will be chapters that cover making paper forms that can be covered with polymer clay (or not! ), fabric body forms that can be decorated in many ways and sections on surface decorations and effects, painting faces, and adding hair and other embellishments.